Fly like a hero and rule the sky with the pimped up DJI Tello drone and new app. 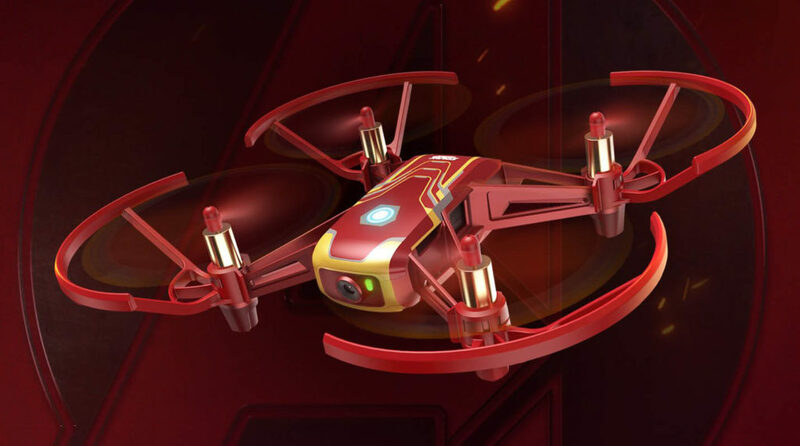 Now, here is an awesome product for all Marvel, The Avengers, cartoons, and drone fans. I bet there are many of you like me. 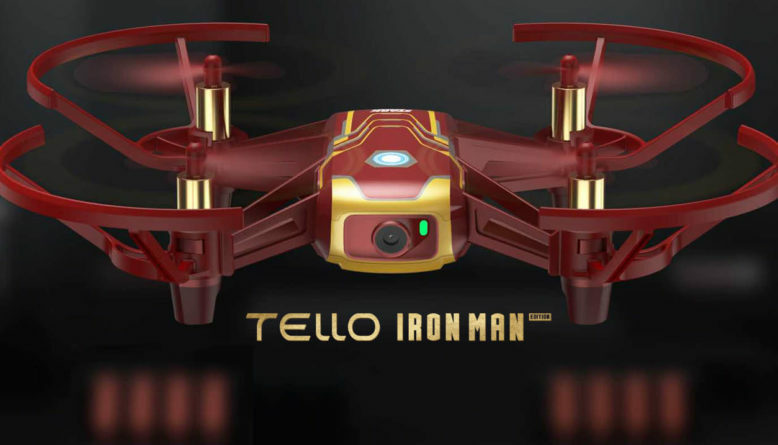 DJI just announced that you now can get the mini DJI Tello Drone in fantastic Iron Man Edition with new exclusive design and dark red coloring in their store. How cool is that? If you still haven’t bought yourself this drone this is the time to do it. 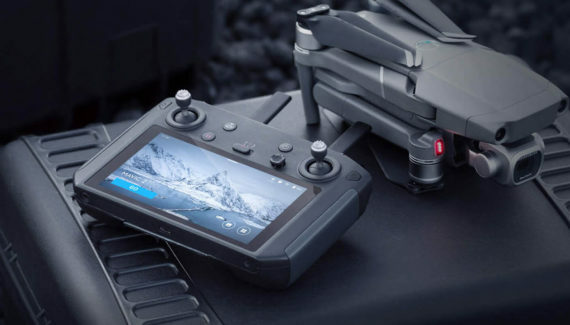 By the way, here is my lengthy review of the original DJI Tello quad, made by Ryzetech and with Intel inside. There are lots of Iron Man gadgets and products out there ranging from Hyundai KONA cars to mobile phones. 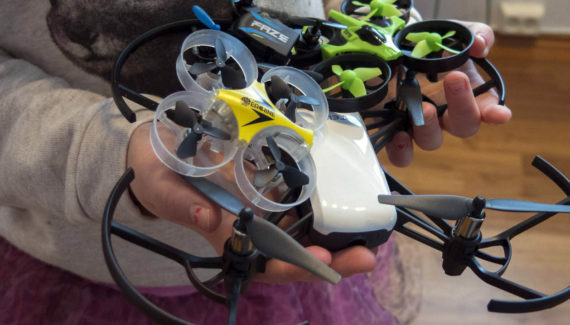 Now, the time has come to a consumer toy-drone you can use both indoors and outdoors. Iron Man Tello in its glory. Looks great. The Tello is one of my favorite drones due to the fact that it is ultra stable and has a built-in camera for a little bit of FPV feeling. It has many advanced features you will find in larger and more expensive crafts. It is a very popular drone and the Tello-pilot community is growing fast. The standard way to operate the drone is by smartphone and the Tello App. 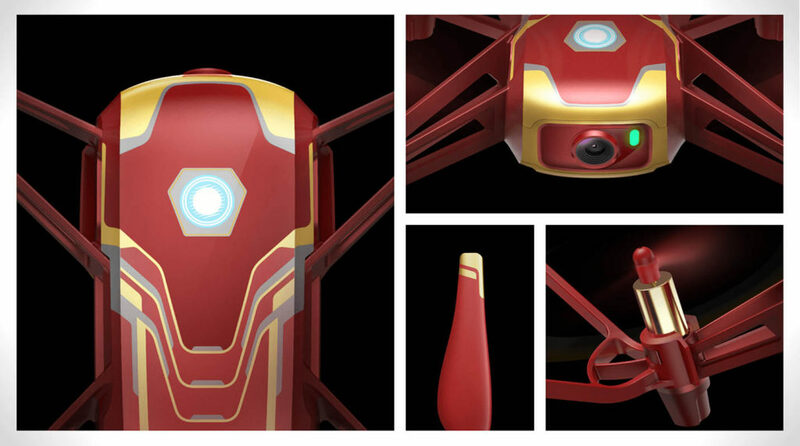 Now, DJI has released a new app especially for the Iron Man drone called the Tello Hero App. They have changed the graphics and appearances to make it feel more Iron Man’ish. In addition, you can complete missions and learn how to fly with the help of FRIDAY, Iron Man’s AI assistant. I’m not a huge fan of flying with a smartphone screen, so I use to connect it to a proper Bluetooth controller that makes it much easier to maneuver. I talk more about which Bluetooth controllers that are compatible and which one is my favorite in my Tello review mentioned above. There I also talk about why it is so much better to control the aircraft with real thumbsticks rather than sliding fingers over a smartphone screen. The shell of the craft is redesigned to match up with Iron Man’s classic armor in dark superior red and with a visible Arc Reactor on top. The propellers, also red, has golden details on the tips. There are also golden details on the motors that resemble many of the shiny, golden details on the suit. So, are there any other differences to the Iron Man version of the quad than the looks? The inside is basically the same as the original with a 720p HD FPV camera in the front, four motors and propellers, intelligent flight modes and the possibility to program pre-calculated flights and moves with Swift. The weight including props is only 87 g. It has safety features like low battery warning and propeller guards, just like the original. If you want to impress your bystanders with intelligent flight functions, you can perform 360’s, Throw and Go and 8D flips in any direction you want. The conclusion is that it is the same product as the standard version but with a much better look on the body, propellers, and motors. The immersive app is of course also new, allowing you to explore the world of the Avengers. This app only works with the Iron Man version of the drone. It is a little bit more expensive than the first one, but I suppose this edition is a rare product that will not be manufactured in large numbers. When purchasing and unboxing the Iron Man Edition Tello you get the drone itself, battery, propeller tool, 4 pairs of props (8 propellers in total), propeller guards, user manual, and charging cable. You could, and should, buy a couple more batteries and a Bluetooth controller like GameSir T1D or GameVice. The additional covers in different colors you could by for the white standard version, are obviously not needed for this one. Here are a couple of official product videos that I recommend that you watch. They are called Tello Iron Man Edition: Fly Like a Hero and Tello Iron Man Edition Assembled. Enjoy. Check out the price, more specs, and information about Tello Iron Man Edition in the DJI Store by clicking the button under right now. It will probably come on Amazon in a while with more reviews. My name is Tony Stark and I’m not afraid of you. I know you’re a coward, so I decided… that you just died, pal. I’m gonna come get the body. There’s no politics here, it’s just good old-fashioned revenge. Yes, it is a pretty neat drone with all the good stuff from the standard Tello. Oh man that is the coolest drone. It doesn’t look like a cheap toy either which is nice considering it is Iron Man edition. I will put this baby on my goal list, my son is collecting drones. He loves using his for photography. How does this one stand out for its picture quality and videos? Thanks for sharing your review on the DJI Tello drone. Unfortunately, I’m not a big fan of drones but I think the technology behind it is quite fascinating and that makes me like it. I think you did a brilliant job in the article as you clearly demonstrate a very good knowledge of the Tello drone and others in the market thus creating some curiosity in me for drones. I think its really cool to know that drones can be controlled using smartphones or Bluetooth controller. Again, since I’ve not flown a drone before, I can’t really say which is better but I don’t think the idea of a smartphone is a good one. I believe your review did cover all the major issues around the use drones, ranging from external design to what to expect from inside the box and I think this information is robust to help anyone make decision to buy or not. Thank you for introducing me to DJI Tello drone, i think i will research more about it and possibly get myself one soon.